Issue #069 - November 30, 2018. Meet Tom Port - High Dollar Vinyl. 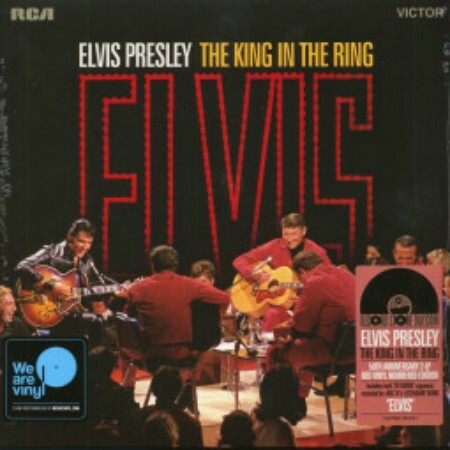 The King In The Ring - 50th Anniversary. The Country Doo-Wop show & Vinyl Record Memories. The Del Shannon Car show will no longer be a featured event each year in Coopersville, Michigan...birthplace of Del Shannon. A Special thanks to Roy M. from Canada. Roy's favorite artist is Del Shannon and he sent me a wonderful email expressing his appreciation of my story about Del Shannon. Thank you for the kind words, Roy. How much would you pay for a really good vinyl record? New reissues go for around $20-30 dollars. Read how Tom Port gets up to $1,000.00 for a single copy of a vinyl record. My favorite music DJ from the 70s is featured this month along with the start of some songs and events from the 70s beginning with, of course, 1970. Received a great new book from Randy McNutt, author of Spinning The Groove and more than twenty other books still in print. This year is the 50th anniversary of the famous Elvis '68 Comeback Special. I have details on the red vinyl record set released in April of 2018. I was recently notified of a facebook post concerning the Del Shannon Car Show held each year during August in downtown Coopersville, Michigan. The Del Shannon Car Show "name" will be changed to Coopersville Car Show & Summerfest. The entry indicated the Del Shannon Family has decided to pursue other opportunities for the name sake. The Rotary's statement; "We would like to Thank the Westover family for allowing us to use his name over the last several years of the car show." Its been fun for me each year and according to the Coopersville Rotary, only the name changes. The car show will continue as usual and all the oldies will be played up and down the streets as in the past. Looks like myself and Ned Ward, my DJ buddy from out Oregon way, have received the last of those "Cool" Del Shannon Days T-shirts....I'm gonna miss those! Meet Tom Port - He Claims to Have Better Records. Would you pay up to $1,000.00 for this man's vinyl? Many do and I wanted to know why, so I contacted him. I learned that no two copies of a record sound the same. 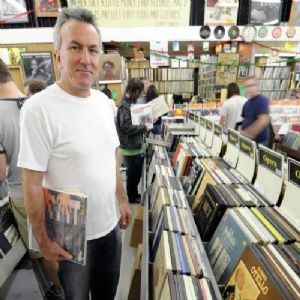 That's the undeniable reality of the analog LP, as well as the driving force that turned what started out as a hobby into a full-fledged livelihood for Tom and those around him. On his website Tom acknowledged that many people find the ideas (and the prices!) on our website shocking. Frankly, they would be shocking to us too if we weren't hearing such dramatic differences in the sound quality of the large numbers of copies we play every day. Unfortunately the cost of the records you see on the site is only a small part of the cost of that finished "product." Our full time staff of six devotes its time to finding, cleaning and playing as many pressings of an album as we can get our hands on. We take only the best sounding copies – we call them "Hot Stampers” – and make them available exclusively to those who appreciate (and can afford) the ultimate in analog sound. We're unique in that we're the only record dealers who base the price of their records on the quality of their sound. I found Tom's site an exciting read and wanted to pass on information that would be of value to some of the more serious Audiophiles who visit my site. Tom has given me permission to use content and quotes from his site for future newsletter mini-articles so I can detail all that goes into these very expensive LP records. Stay tuned....Read more about Better-Records.com. My Favorite Radio Program of The 70s. Co-creator Casey Kasem hosted the original AT40 from its inauguration on July 4, 1970 until August 6, 1988. 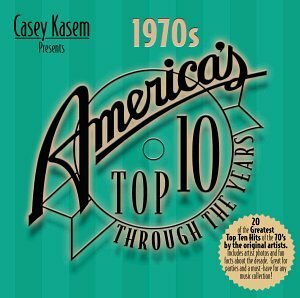 The AT40 (America's Top 40) countdown with Casey Kasem became my favorite program beginning in 1970. The very first show featured the very last time both Elvis Presley and The Beatles had songs simultaneously in the Top 10. If you lived and partied in the 70s here are some songs and events you may remember. 1970 - The Decade begins. Spinning The Groove - An A to Z Guide To The Lingo and Legacy of The Old Record Business. 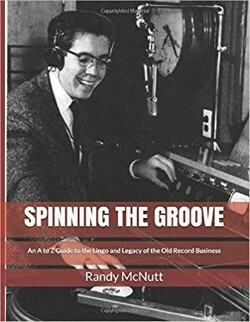 I was pleasantly surprised this past week when I received a signed copy of the book, Spinning The Groove from my friend, Randy McNutt, an independent record producer, record label owner and freelance writer from my hometown, Hamilton, Ohio. I contacted Randy earlier this year for help on a story I was putting together on a forgotten group from the Hamilton area dating back to the early sixties. 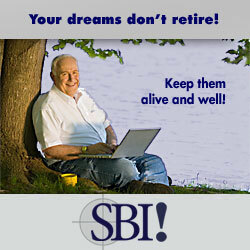 I was aware of Randy's background and although we had not met previously, Randy was sincere and eager to help. He provided me with information about the band members I did not have and I knew would be accurate. Spinning the Groove is an encyclopedic adventure into the world of vintage vinyl records from the 1940s through the 1970s. It features over 500 colorful expressions used by record company chiefs, audio engineers, DJs, Jukebox distributors and others from the original vinyl days. This is a fun and memory filled read for me. No record collection will be complete without this book. I highly recommend you get your copy today. The King In The Ring. 50th Anniversary of The "Comeback Special." 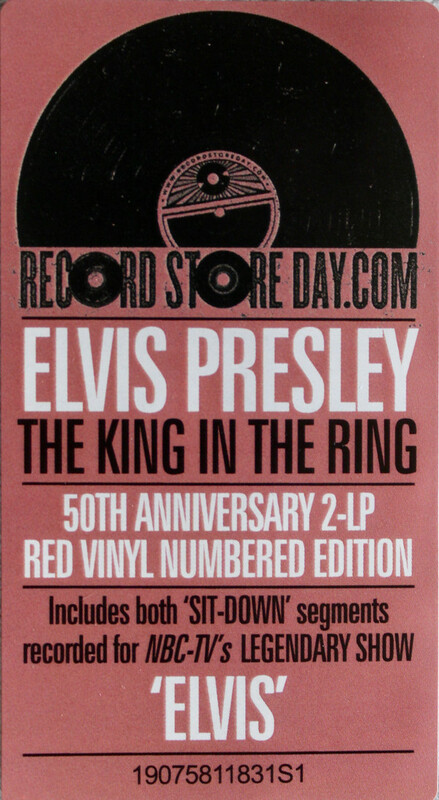 On the occasion of the 50th anniversary of the Elvis Comeback Special, both sets of the unforgettable TV show were released on vinyl for the first time on April 21, 2018 - as a numbered double LP package with a newly designed gatefold cover, pressed on red vinyl. Songs are performed in a one of a kind setting showcasing the very best of Elvis' brilliant career. This 1968 "Elvis" special finds the most significant figure in rock history at his very best and staking his claim as one of the greatest performers of all time. The show's many highlights included laid-back live performances recorded in the round before a small audience and featuring a powerful ensemble--including guitarist Scotty Moore and drummer D.J. Fontana, both part of Elvis' original, classic backing band. Recorded at NBC Studios, Burbank, June 27, 1968 - 6pm & 8pm shows. The label shown here displays what is written on the original album above. 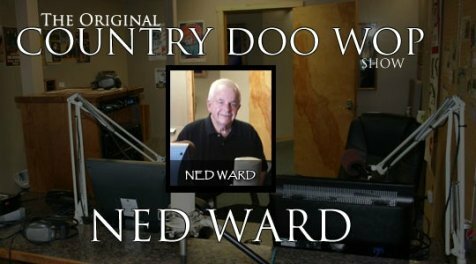 Each month I add an entry about my favorite show, Ned Ward's Country Doo-Wop show. Ned does his show from out Oregon way and if you tune in you just might hear Ned talk a little about Vinyl Record Memories.com. Ned plays all my favorites and I know he will have some of your favorites also. See the times below for details. The Year 1971 - What do Hot Pants, Dirty Harry & The Chi-Lites all have in common?